By James A. Castañeda, AICP. WILL THIS BE YOUR FIRST NATIONAL PLANNING CONFERENCE? I remember walking into Union Station in Washington, DC, in the spring of 2004 and marveling at the opening reception. As a student about to graduate with a city and regional planning degree, it was a thrill to be around people in a profession I would join in just a few months. With eagerness and curiosity, I took in everything — sessions on planning topics I had studied, meet-ups with other students, and the vast exhibitor’s hall. I bought a polo shirt to commemorate the trip and the event. 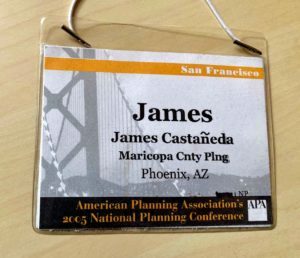 In many ways, my first National Planning Conference set the tone for what has been a rewarding career as a planner since my first job later in 2004. After that first conference, I was easily lured to San Francisco the following year for the 2005 National Planning Conference. It was there I really felt like I was something larger just by being in our profession, and that led me to practice planning in the Bay Area. I credit much of what has shaped my career to those two conferences. I also acknowledge that much of what has continued to inspire me over the years is the annual gathering of my fellow planners. I’m excited that, after 14 years, the National Planning Conference has returned to the Bay Area. In a way, I too have come full circle as a planner in our Northern Section. Without fail, whenever I’m away from the grind for a few days, I return to the office full of ideas and eager to continue to be an agent of change and innovation. Like so many things in life, sometimes our best ideas just need a little space and the right environment to bloom into clarity. That’s what I expect will happen to me after I spend four days around other planners at a National Planning Conference, or as I heard someone at NPC17 in New York call it, Planning Camp. Planning Camp has always been a place for me to be inspired and to reinvigorate my passion for the profession. It’s a place where our best ideas are nurtured, as most everyone comes with an open mind and ready to share their experiences and skills. That eagerness is what sparks insightful dialogues that trigger creativity. Everyone, from the inspirational keynote speakers sharing the big picture, to students anxiously ready to talk about their posters, contributes to what soon becomes an invaluable experience and validation of what it means to be a planner. It’s a great honor that, on behalf of the Northern Section, I get to welcome planners from across the country to the Bay Area for NPC19. For those like me who experienced the 2005 National Planning Conference, it’s exciting to take stock of where we were 14 years ago and focus on how we have evolved since then within our profession. We can do that internally, or in the NPC sessions, or on any of the 60 mobile workshops we have on the NPC program. NPC19 would not be possible without the coordination and help of those who volunteered to serve on the Local Host Committee. 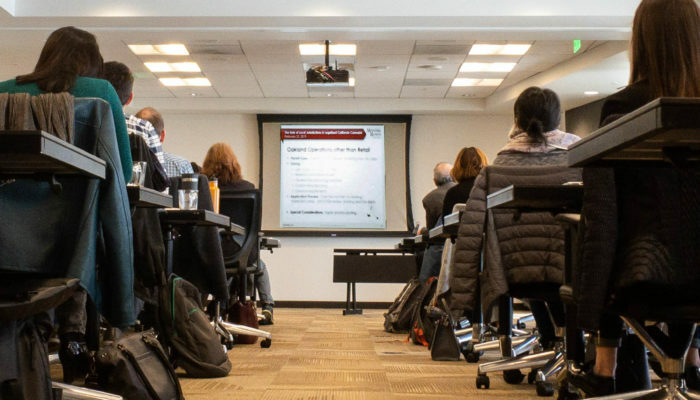 We owe much to Hing Wong, AICP, the Local Host Chair; Sharon Grewal, AICP, the Activities Coordinator; Jonathan Schuppert, AICP, our Mobile Workshops Coordinator; Bob Zimmerer, AICP, Orientation Tours Coordinator; and Alessandra Lundin of Raimi + Associates, Community Planning Workshop Coordinator. It was my pleasure to contribute to coordinating the creation and curation of the City Guide that is featured in the NPC19 mobile app. After countless volunteer hours from those on the Local Host Committee, I’m confident this will be another successful National Planning Conference, one that all in our Northern Section can be proud of. I hope I will get to see many of you there. Join me in letting this year’s Planning Camp strengthen your passion for learning. Be sure to stop by our Northern Section welcome table in the main lobby to say hello. You may see me and other familiar faces. 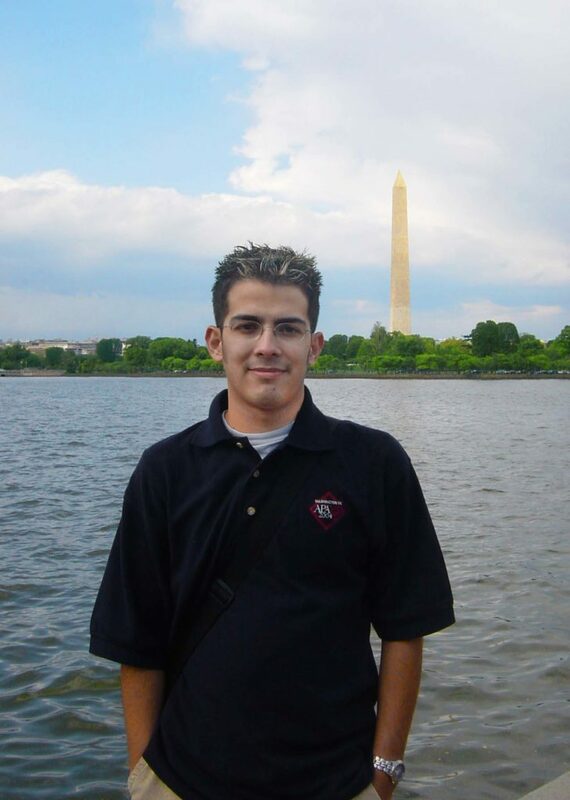 I might not be wearing my 2004 APA conference polo or sporting the frosted tips hairstyle from college days, but I’ll be at SF Planning Camp with all of the same eagerness and curiosity!